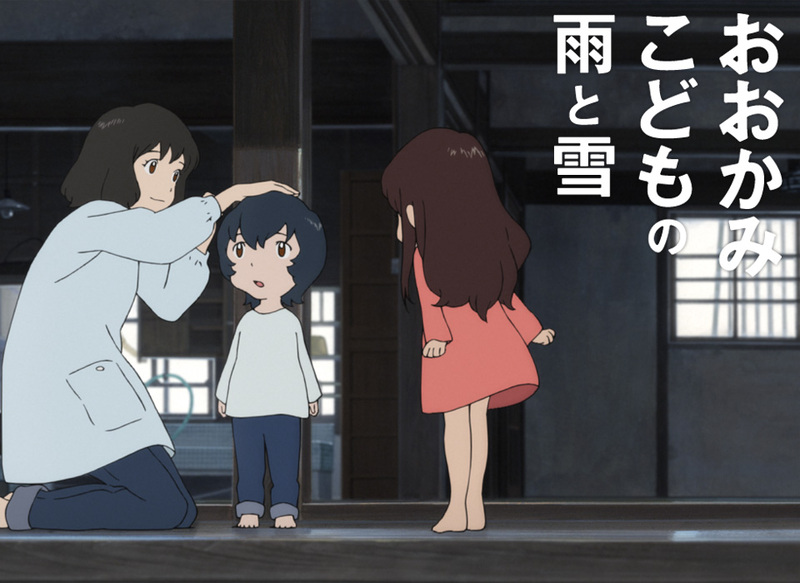 Apart of Kingdom anime, which began a few days ago with a double pilot episode, Ookami Kodomo no Ame to Yuki is probably the second anime project I am awaiting with a very positive attitude from the earlier ones of this summer season. This is an entirely new project that works its way around an old topic… probably the oldest one around (except for good vs. evil I suppose) – love and another pretty ordinary topic – family. 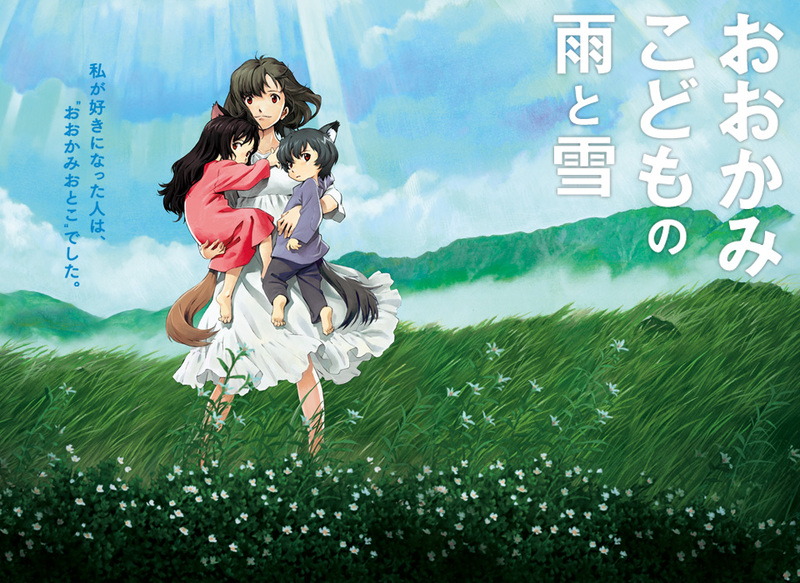 There is a little twist, though – there is a wolfman and his wolfchildren involved. 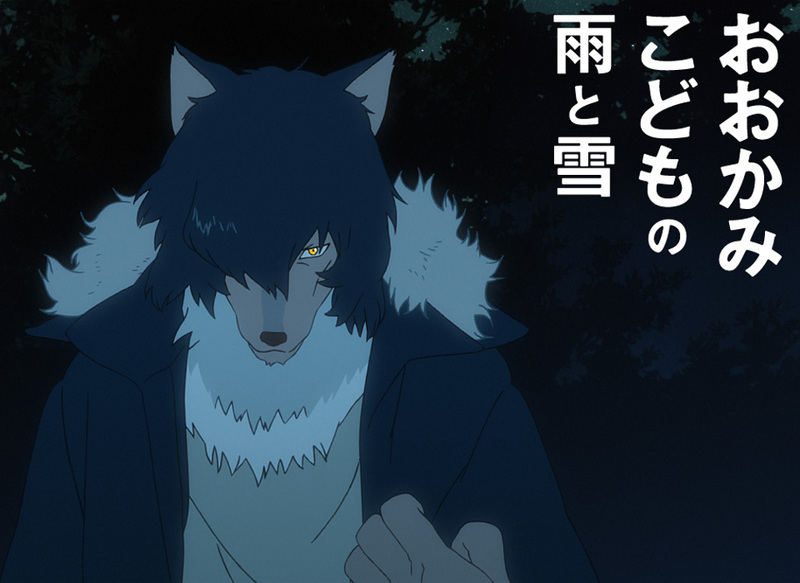 As an admirer of Wolf’s Rain and some cyber scripts, I can happily say that I expect a lot of stories revolving around shapeshifters and other types of near-human creatures. 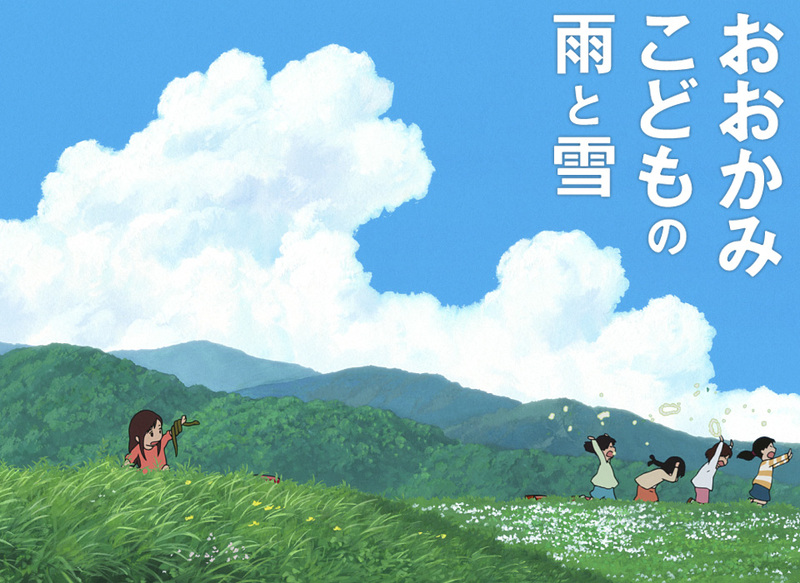 This is what grabs me about Ookami Kodomo no Ame to Yuki too. 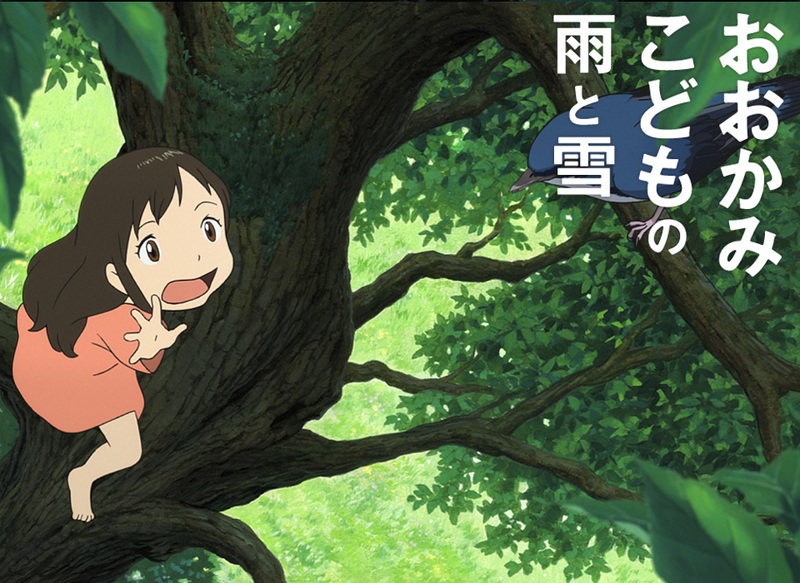 As well as… Mamoru Hosoda. 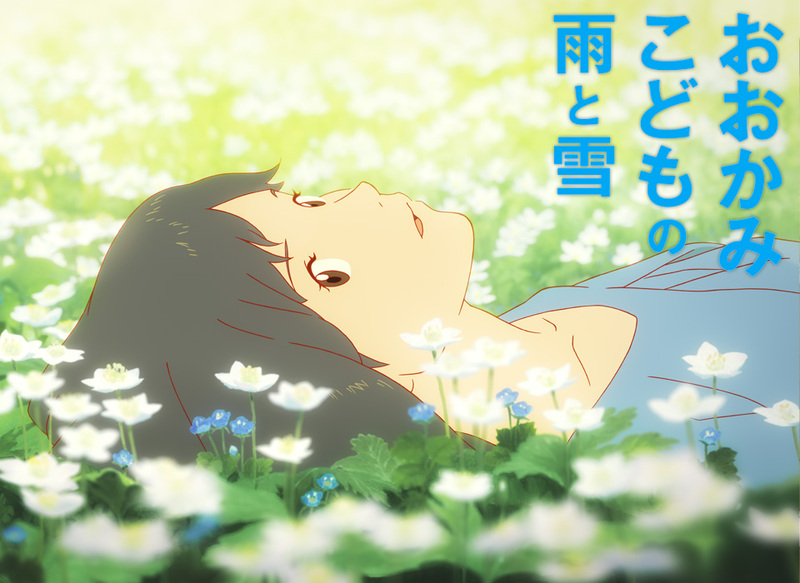 After all, this is expected to be a movie with a success near to that of the director’s previous projects – Toki wo Kakeru Shoujo and Summer Wars. Moreover, according to some other news, this will also be his debut as a book writer . 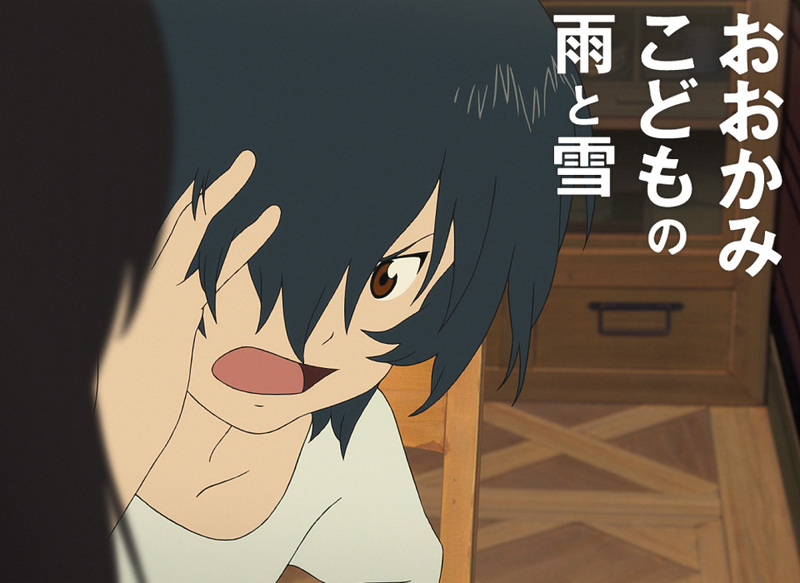 Congrats, Hosoda-san! 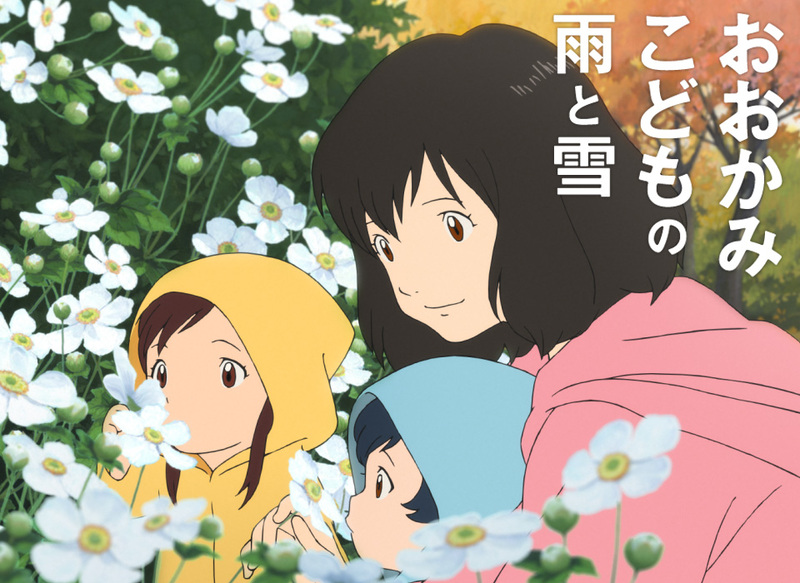 The anime film revolves around the life of a woman named Hana. At the beginning, she is a young woman still in her studies and it is then when she meets with the love of her life. No matter that he is half-wolf, she falls for him and even gives birth to his two lovely children. Ame (雨 – Jp. = rain) was born on a rainy day and Yuki (雪 – Jp. = snow) was born on a snowy day. 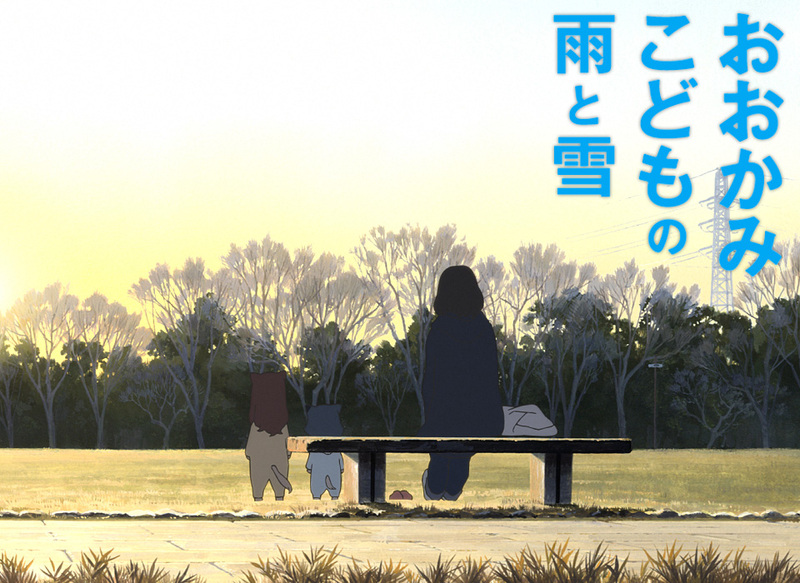 Although both of them have found ultimate love, at the death of her man, Hana is left alone. She does not give up, though. She fights for the wellbeing of her two children, who are also half-human and half-wolf. After seeing that it would be easier for them to grow up not in the big city, but in the outskirts – the smaller village, she moves with them. Click images for bigger versions! 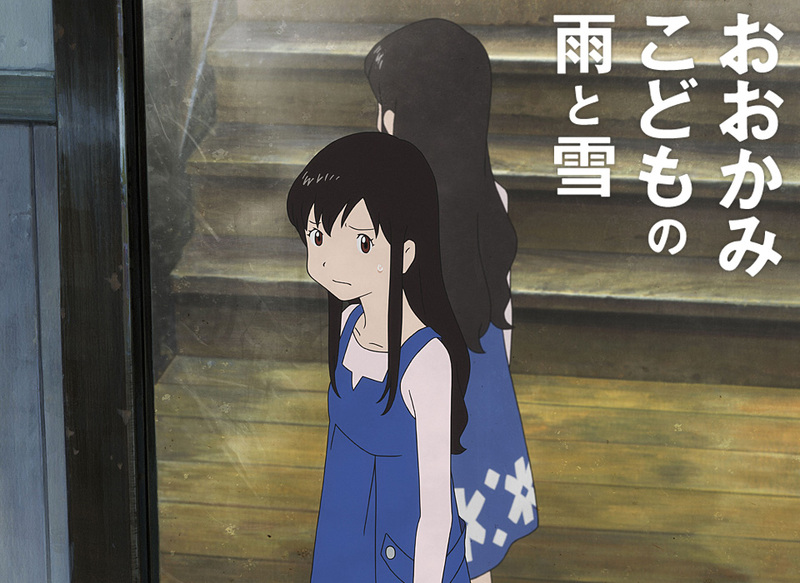 Ookami Kodomo no Ame to Yuki will have its Japanese premiere on July 21 and, as it became known just a few days ago, the world premiere will happen on June 25 in France. 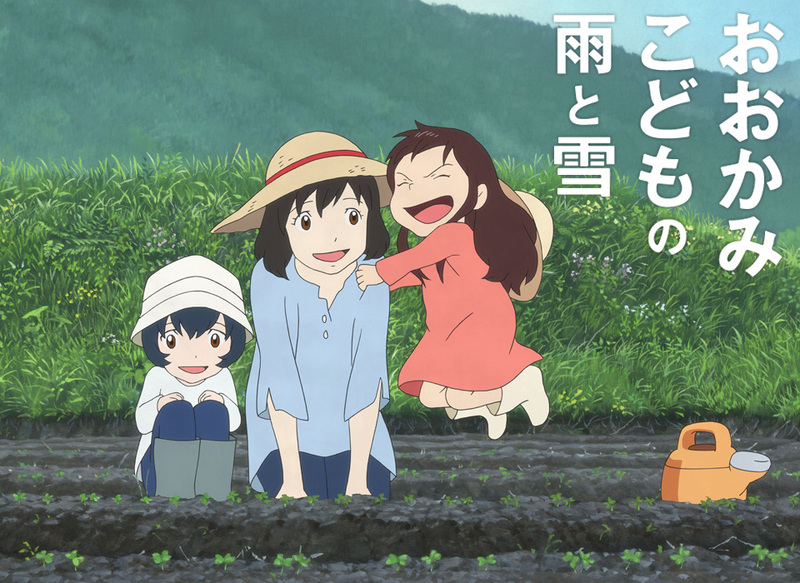 You can also enjoy the awesome preview videos and trailers of the movie, as released on the project’s official website! Since the information about this movie is not as much as I’d like it to be, all I am saying is that you should click on all these images to get some additional knowledge on the upcoming movie. 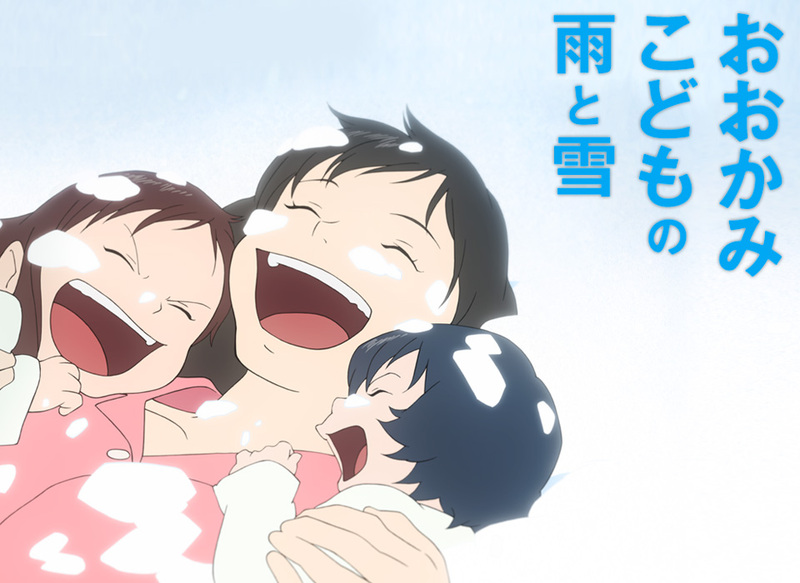 Images/Video: © 2012「おおかみこどもの雨と雪」製作委員会 © CHIZU, Inc.
Yes…like one of the oldest clich? ever? I believe it’s still around for a reason, but who am I to judge?